In addition to EPCs and owners reaping the benefits of Coreworx project information management solutions, engineered equipment suppliers are also leveraging Coreworx solutions to improve the delivery of information to their clients. It is a known fact that a project cannot close nor can a plant be brought into production if the associated and required documentation for each engineered component put into that facility are not delivered to the operator. 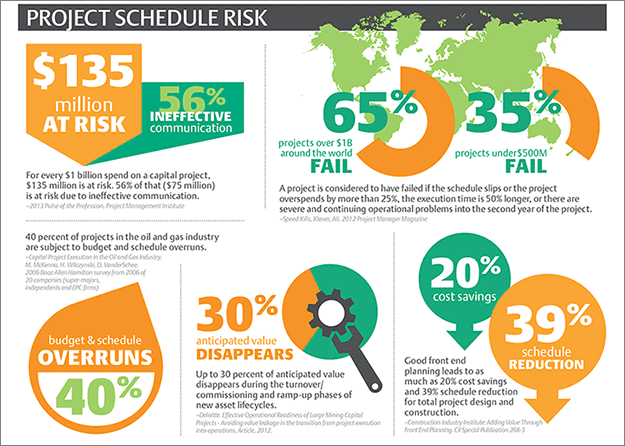 Any document deliverable-related delays can result in considerable costs to all project stakeholders and lost revenue for the end operator. Being that the ecosystem of a project includes many players and each share in the failure to various degrees, engineered equipment suppliers are feeling the pressure to deliver the right documentation to the right people throughout the life cycle of each of their projects. Further driving this need for improved information management by equipment suppliers, are studies by the Construction Industry Institute (CII) that have found that delays in the provision of engineered documents, approvals, and responses to inquiries have the highest severity rating to a project. The suppliers who have already deployed Coreworx solutions realize they play a key role within the project ecosystem and are making transformational changes to their business practices to ensure they are able to fulfill their role in that system. They use Coreworx information management solutions to reduce their costs and complexity, improve relationships with their clients through consistency of delivery, and to better accommodate unique requirements. Engineered equipment suppliers are bringing the information management ecosystem of projects full circle, enabling the successful transition of information between them and their clients right from the planning and engineering phases clear through to close out and operations. Recognizing the complete role these key suppliers play in the entire project and then planning ahead and implementing the right tools to accommodate all aspects of this role are what sets the successful engineered equipment suppliers apart from the rest. For more information on benefits provided, see the Project Solutions for Engineered Equipment Suppliers industry page on the Coreworx website. Note: Nov 7, 2016 original post date.